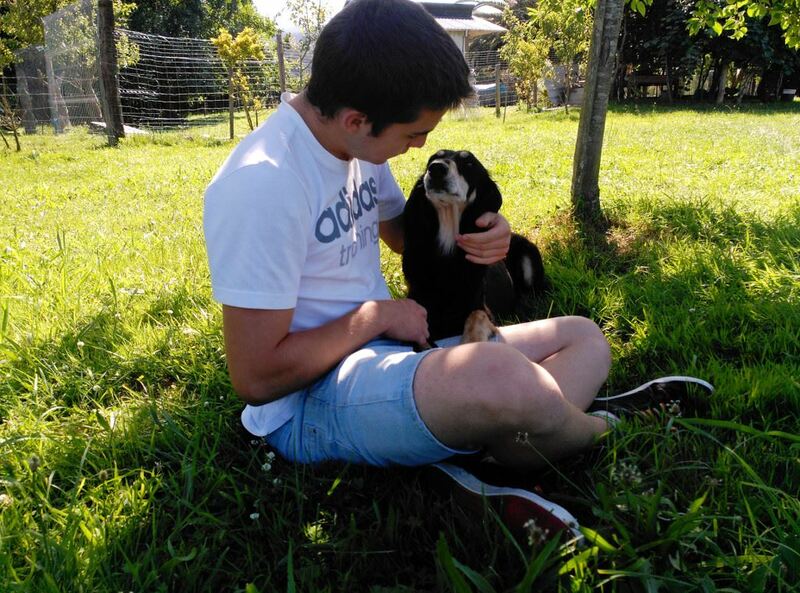 I know that in my life there will always be salukis, I will live with them and I will share my vital space with theirs, without interferences but with coexistence. I am having the opportunity to learn from the best, from people who become my family and to whom I will always appreciate everything they have given me. I tell you my story and we see where there are salukis! 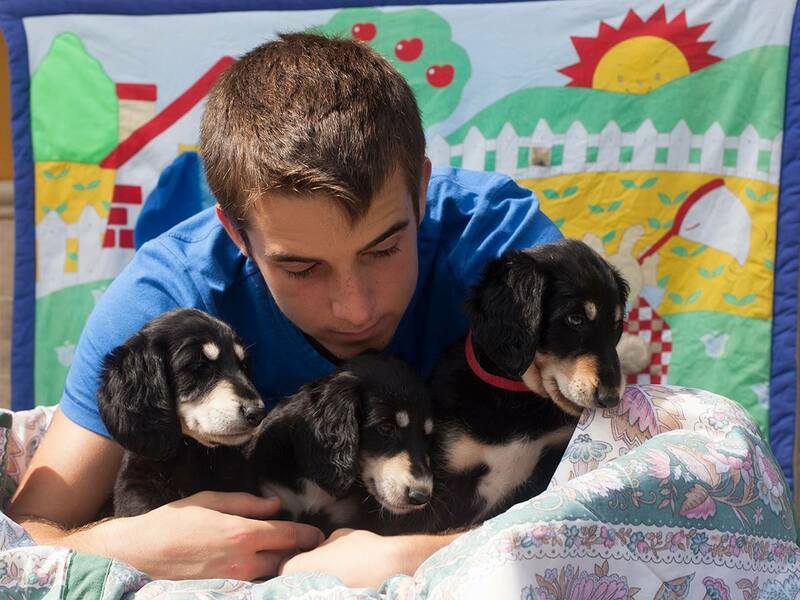 This year we have been planning at home the future of my salukis. We have continued to learn from all those who have wanted to share their knowledge and their copies. 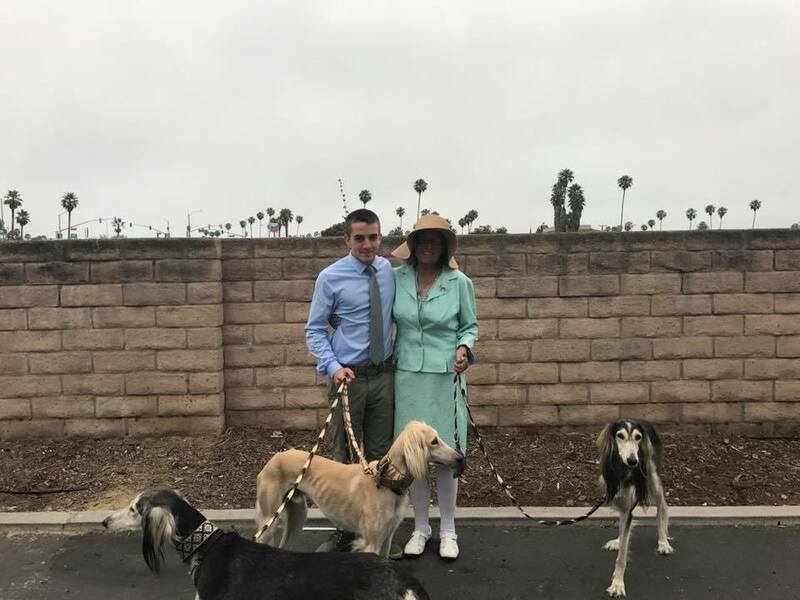 This summer I met Mary Sanders Parker, a person who has given us the opportunity to incorporate into our house, in co-ownership with them Harry (Classicus Amor), a puppy with a spectacular character and temperament, which allows us to maintain the main objective for my salukis, temperament, character and health. 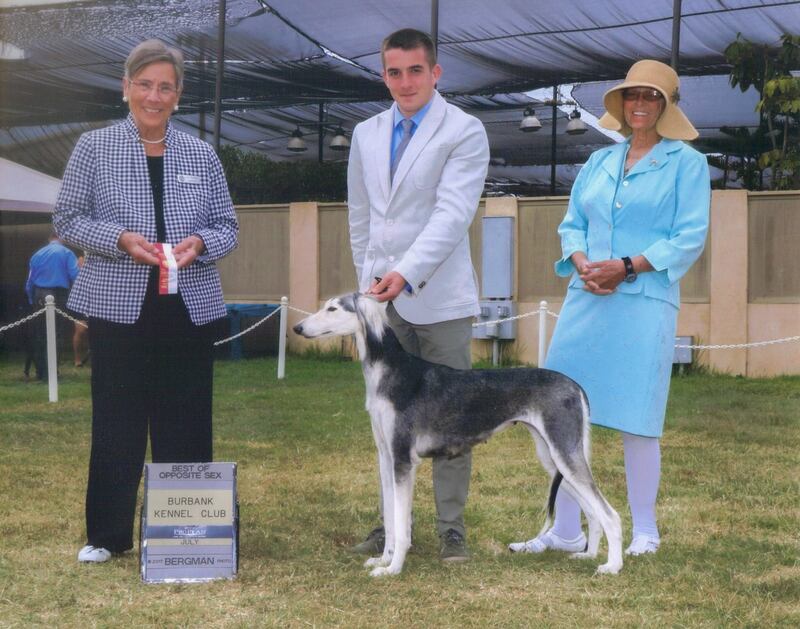 Sandra Dunlea is my family in California and the breeder of my friend Quidam, Ariane Quidam at Bosques Azules. 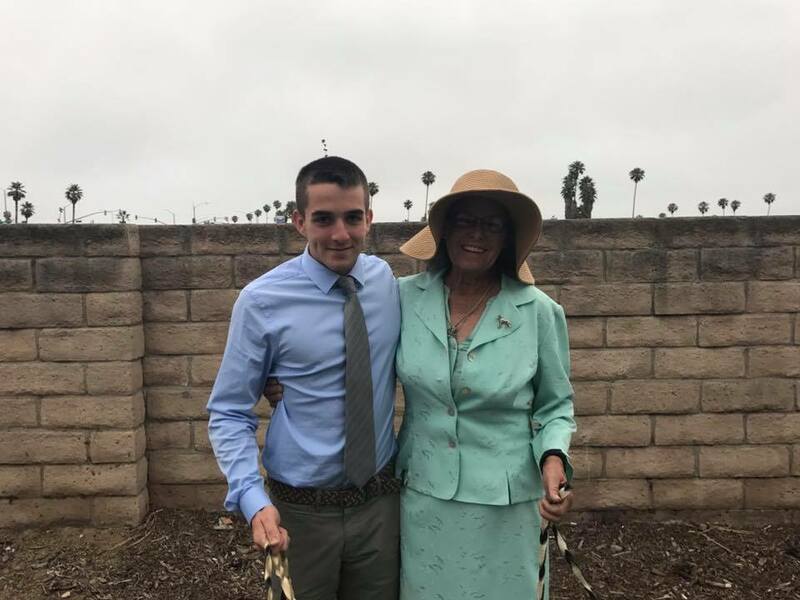 I am sure that many things have happened in 2017, but without a doubt visiting Sandra to meet her and talk about Salukis and birds is what has left its mark on me. They say it’s empathizing, she calls him Soul, I call her Sandra. Quidam was a gift, and often a gift. 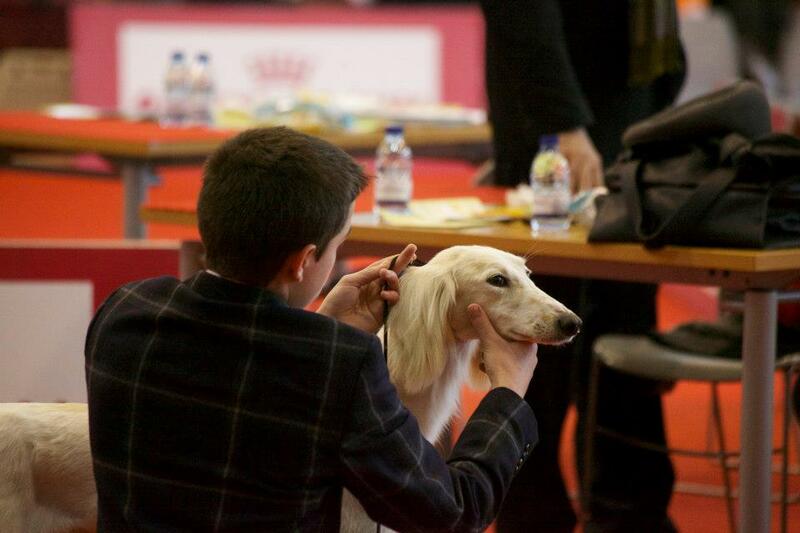 A special saluki who was never a puppy, always serious, in his place, stable and affectionate. Did I say affectionate? 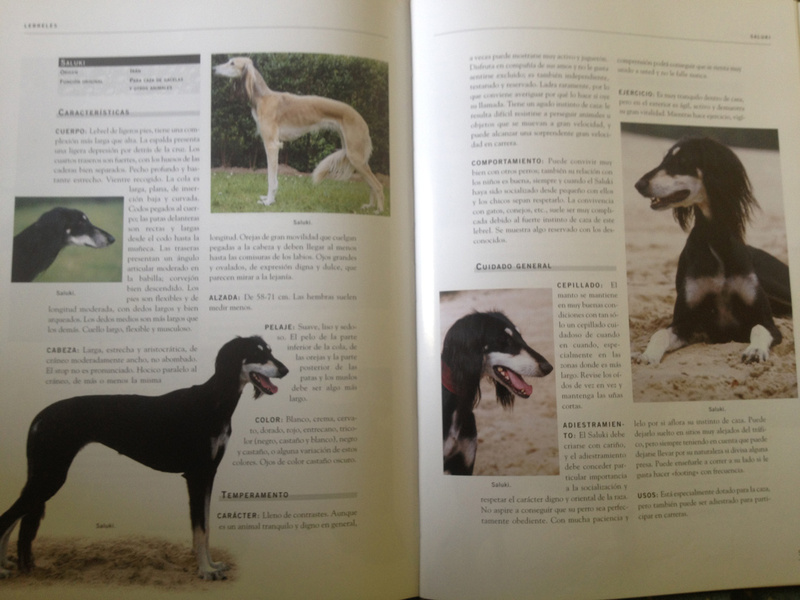 Yes, a saluki to enjoy who has a passion for me and accompanies me wherever I go. 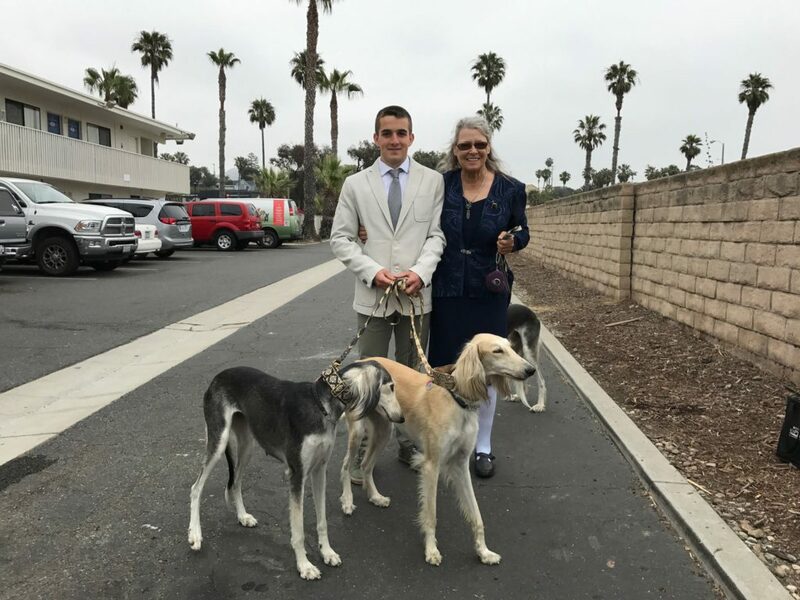 He also allowed me to debut as Handler of his Salukis in USA, in Ventura, an opportunity that I will always appreciate for his confidence in me letting me present Quidam’s mother, Leah (GCH Al Sayad Gaia Aliyah Aminah) and Ahri (The Ubaid’s Vivaldi’s Master Piece ). 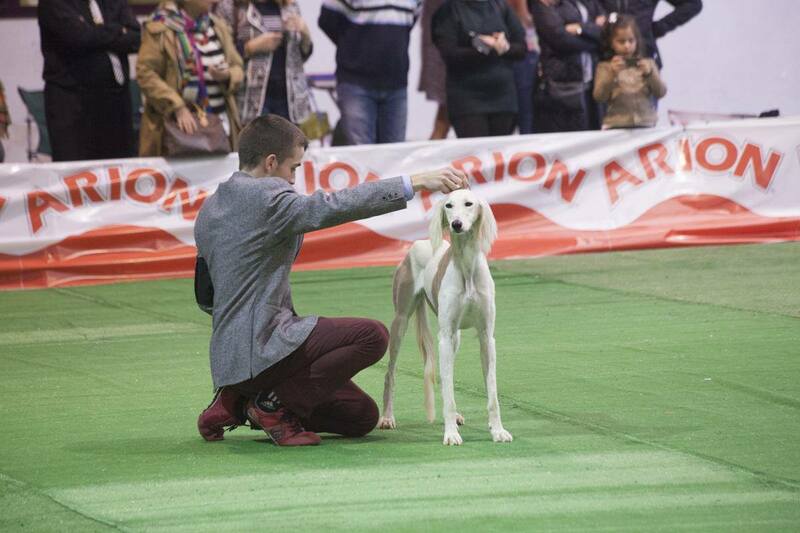 The exhibitions have allowed us to enjoy our salukis in the ring, also to share the best samples of our friends from Hykanya. 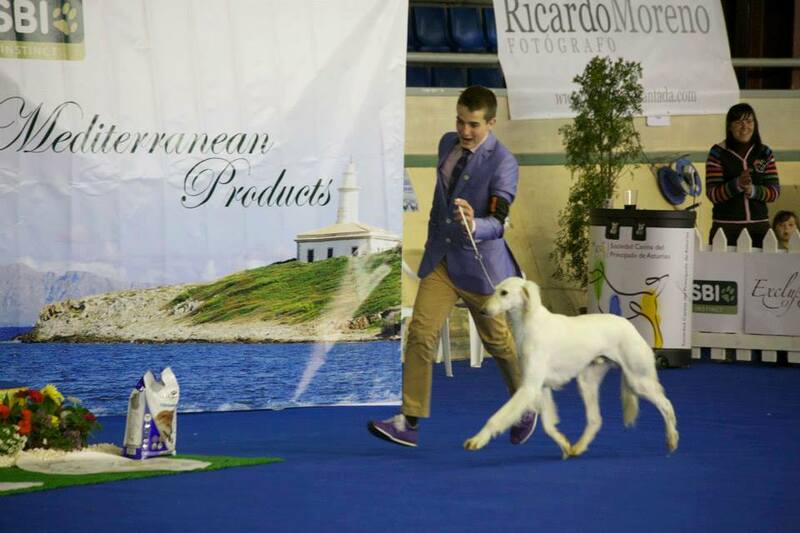 Jeno (Super Ch, Ch Spain Hyrkanya Aman Xenophon) has been home for a few months to complete his championship and make Super Champion. 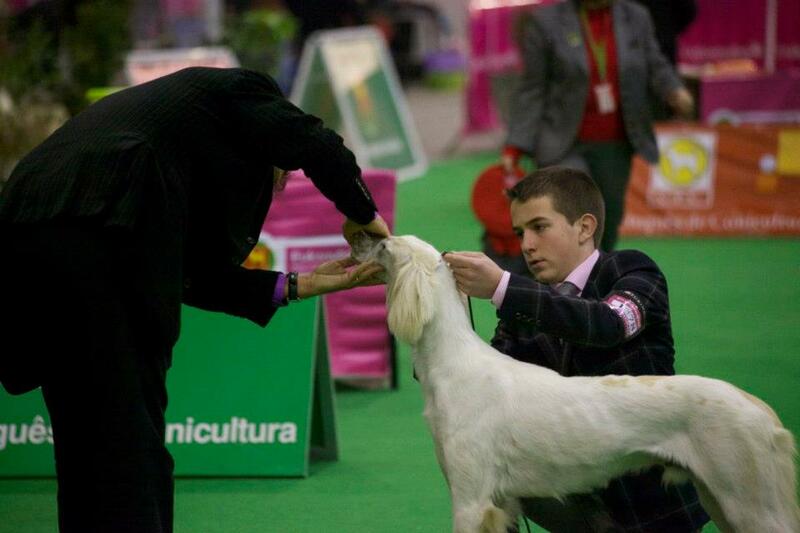 Jeno is a spectacular Hyrkany, a copy to remember and thanks to Enrique de la Morena we had our Litter B, and we stayed with Tesla (JCh Spain Basira de Bosques Azules). And we continue to add salukis to the herd !!! The El Ubaid’s affix is synonymous with typicality, character and health, and our Panthea (The Ubaid’s Universal Panthea) shows that. Since his arrival he made the difference and earned his place at home. Thanks Stephen. 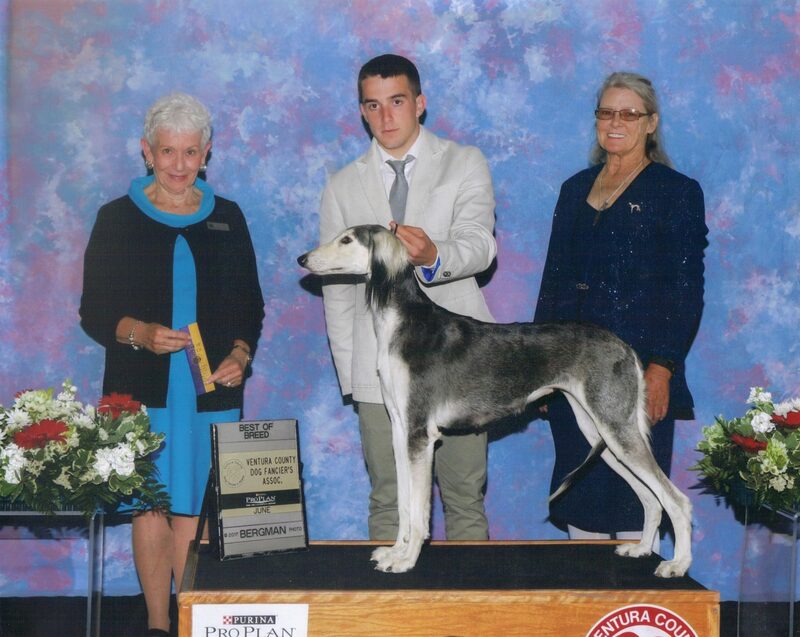 2015 was the year in which the first saluki raised at home got a Young Championship, and the one in charge of getting it was the one that Amina de Bosques Azules, aka Sophie. Panthea also got his Young Championship. Without a doubt, one year for our girls. 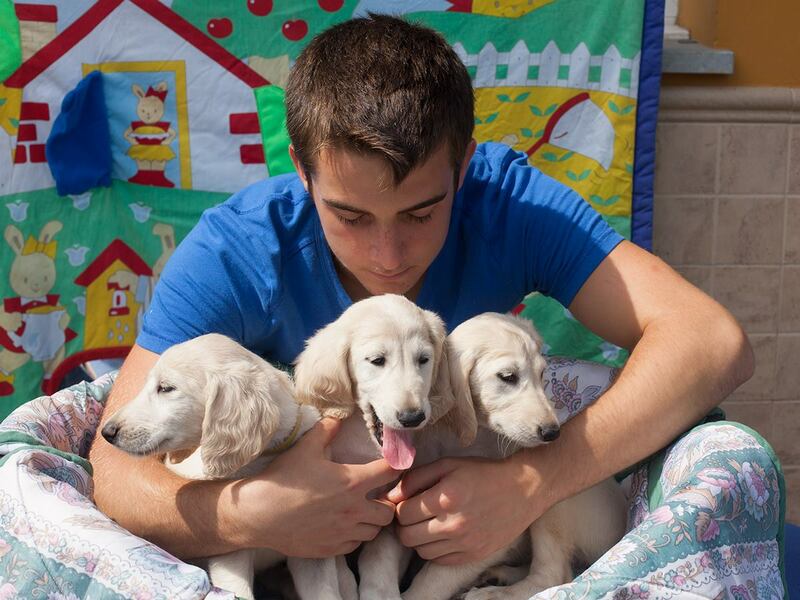 A litter of puppies is a responsibility, and without counting on it I saw myself with her at home. I’m happy with how it was. 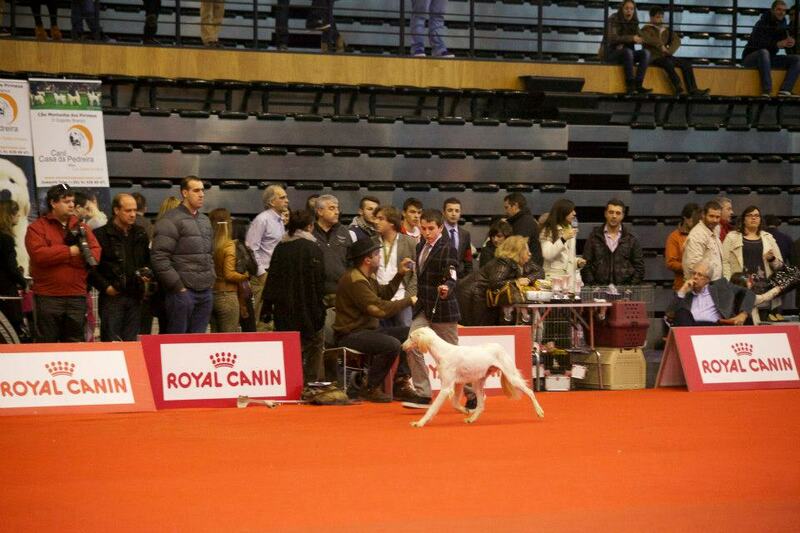 From this first litter of Amir (Hyrkanya Akbar) x Saba (Hyrkanya Terken) was born Shopie (Amina de Bosques Azules), our first Young Champion and our first Absolute Champion, BIS Cubs in the Monographic Club, … A beautiful cream with which Enjoy in the ring !!! 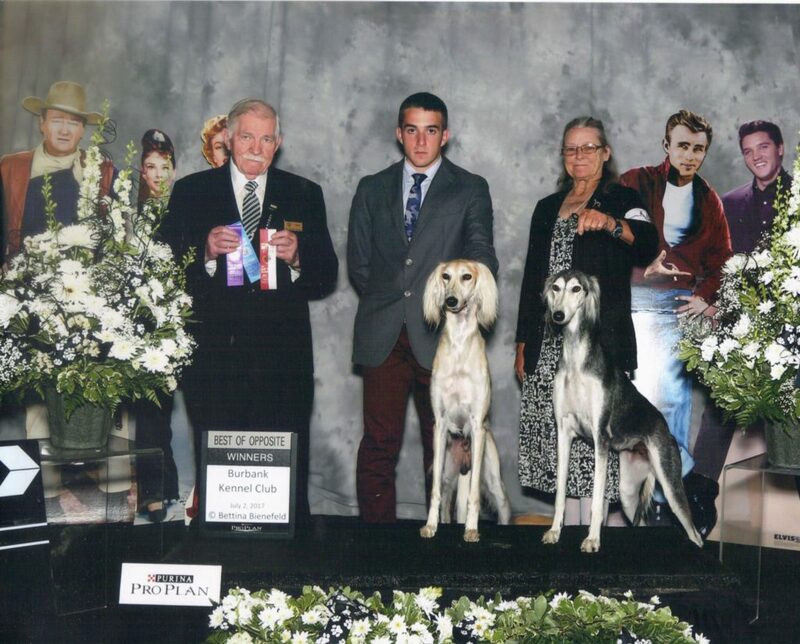 13 years old and a young saluki, they were a litmus test to see if he really wanted to live with salukis and present them in exhibitions. Are we still going? Yes of course. I remember perfectly the day I taught my parents page 501 of the Encyclopedia of Dogs and I told them “this is the breed that I want to breed”. 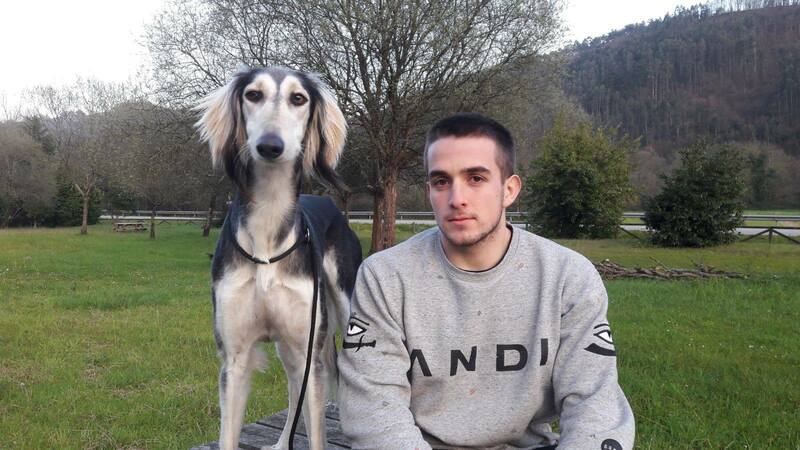 It was a saluki. 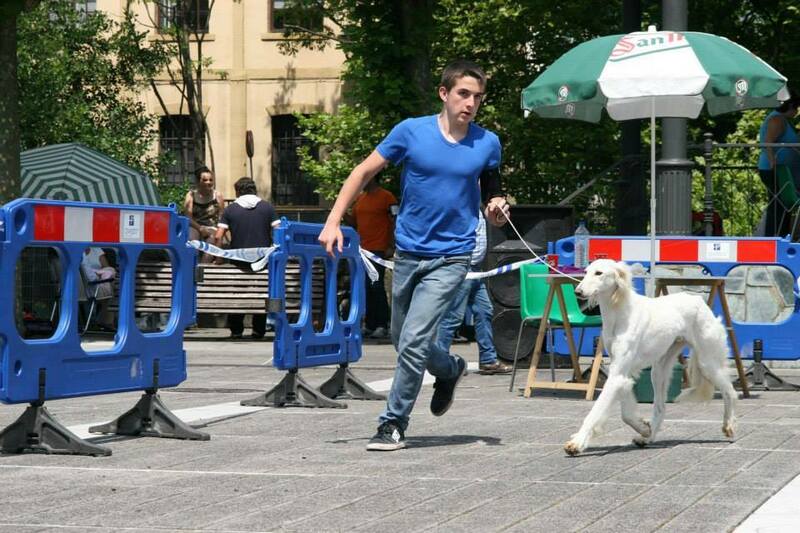 I was 12 years old, back in 2012, and my parents had never seen this race and they did not know anything, much less everything that would come later with the Bosques Azules Salukis. 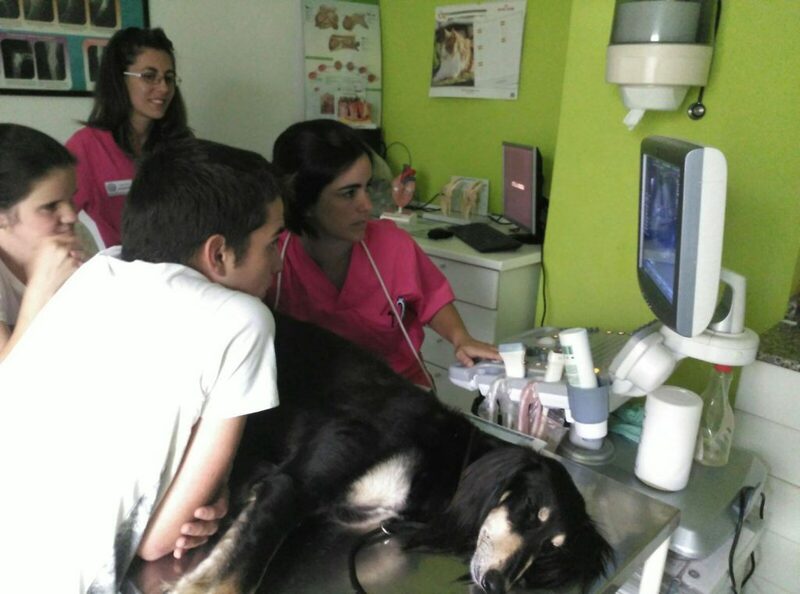 My parents looked for breeders in Spain. 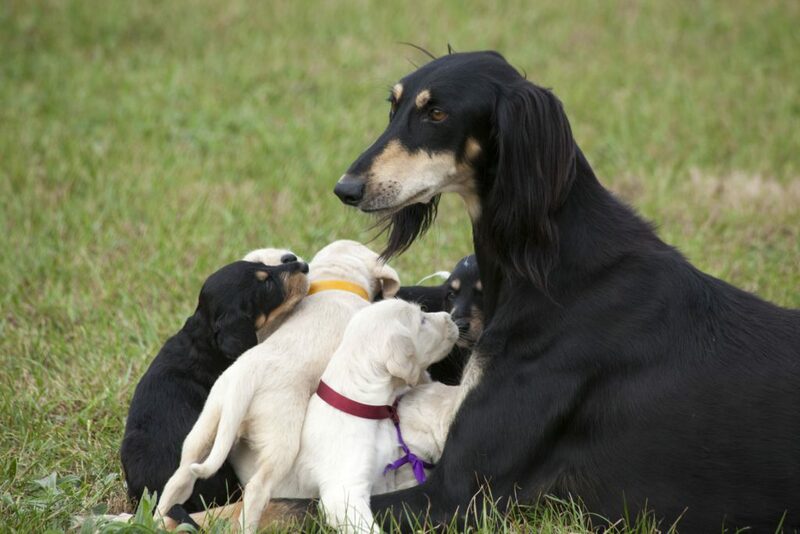 There are not many breeders of Salukis, rather there were and there are very few, and perhaps it is because of the lack of knowledge about the breed. It is classified as arisca and fearful, which makes it little commercial. This cataloging has turned it into an unknown race but it has favored it because it is still the Persian Greyhound that lived in the Desert with its owners, without the problems of the mass races. 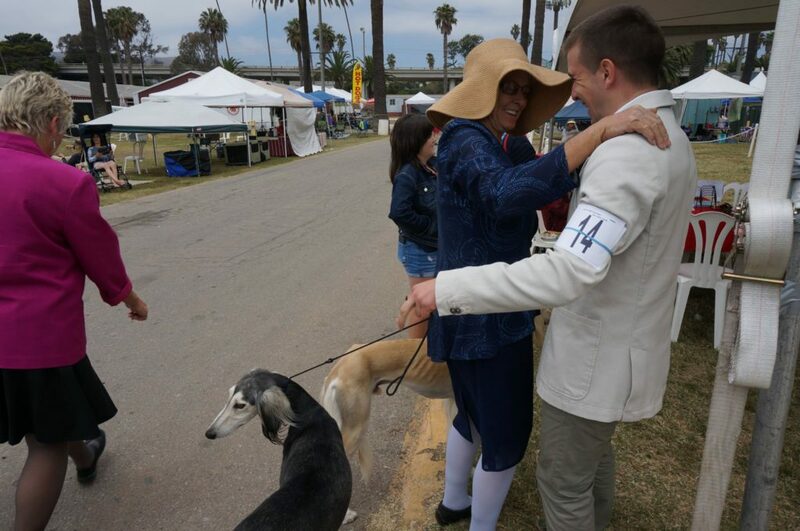 I would like to say that although it is a special race, different than “you understand and know what you think without being all day for you,” is a race with which to live without problems, enjoying the day to day, without forgetting that He is a greyhound. Searching the Internet, reading in forums and talking to people, everything led to Enrique de la Morena. Not short or lazy, they called him and explained my case, hahaha, as my parents say, like someone who talks to a doctor. Enrique, explained everything about the race and encouraged them to read and study as much as possible about it. 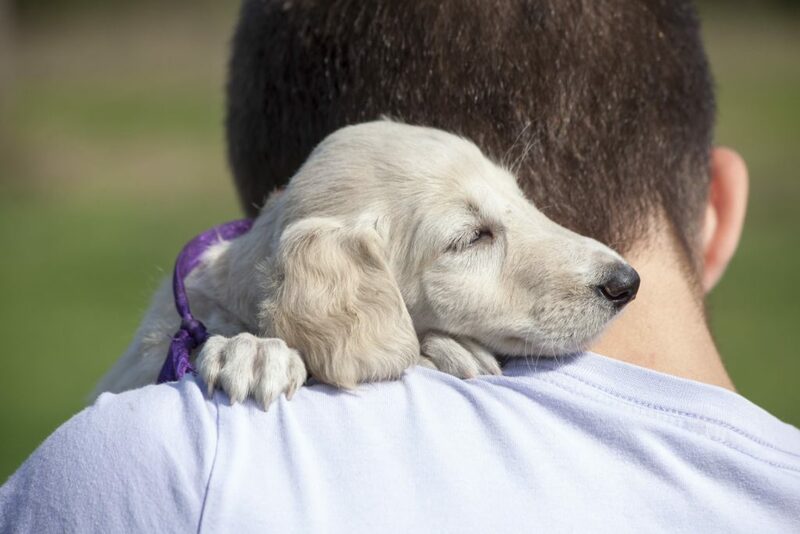 A tip that every breeder lover of the breed must do to guarantee that the new owners know how their puppy will be in the future. Three months later Enrique called my father asking about my notes and about the availability of time during the summer. The reason was that he wanted to give me, as the tradition of the former owners of Salukis says, one of his copies. 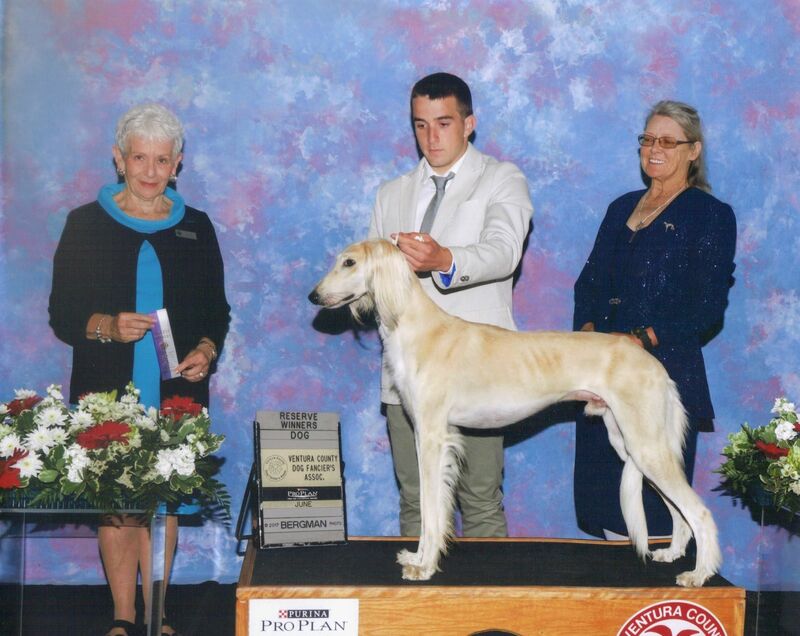 My first saluki, Hyrkanya Akbar, for us Amir that for the Persians means king, prince or leader. Far from regretting having a saluki at home, I ‘saved’ to bring Saba, who of course is a Hyrkanya, Hyrkanya Terken. 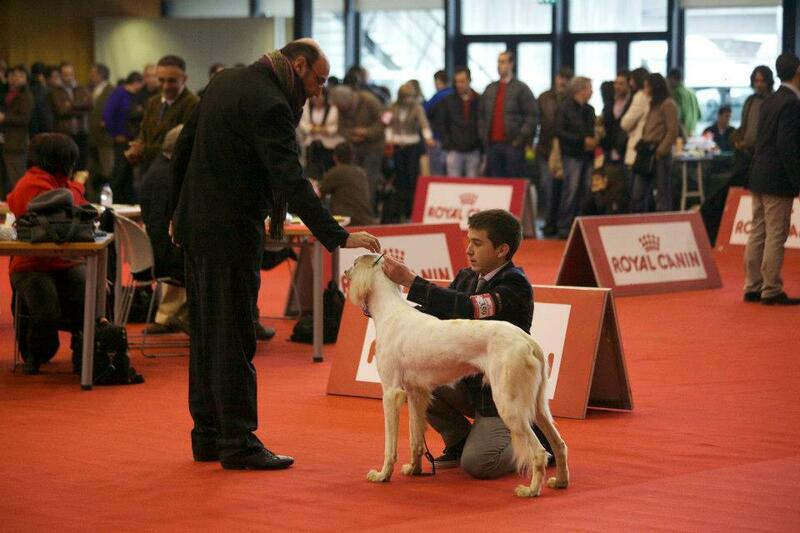 It was not just any puppy but it was the daughter of the first Saluki that Enrique let me present at the Obligatory Point of Talavera 2012, Ch Monab Being Fabulous, and to which I finished his Spanish Championship (CAC + CACIB). 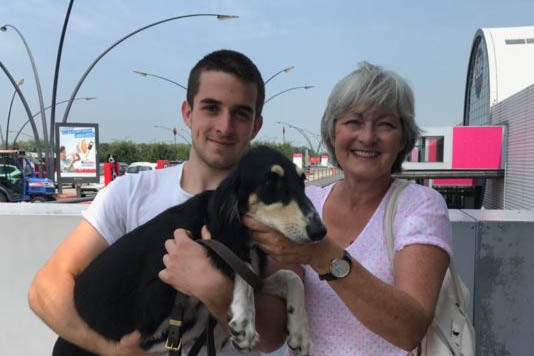 Saba came to stay and to fall in love with the whole family, because the Salukis are not shy or fearful, they are Salukis.